There is nothing better to sooth your throat and your mind during a dry Tucson winter than a nice, hot cup of tea. 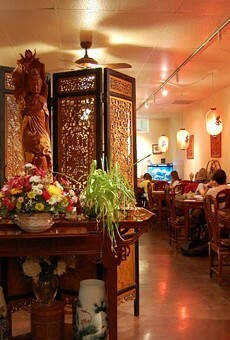 Seven Cups Tea House can offer you just that, and much more. It is a traditional Chinese tea house where you can try over 80 authentic loose-leaf Chinese teas, as well as delicious snacks, all in a serene, relaxing environment. They work directly with farmers and tea masters in 10 different regions of China to gather the best of the best for their customers. And yes, they sell iced tea too. It is still Arizona, of course.